21st June. We will be open for Suffolk Day. 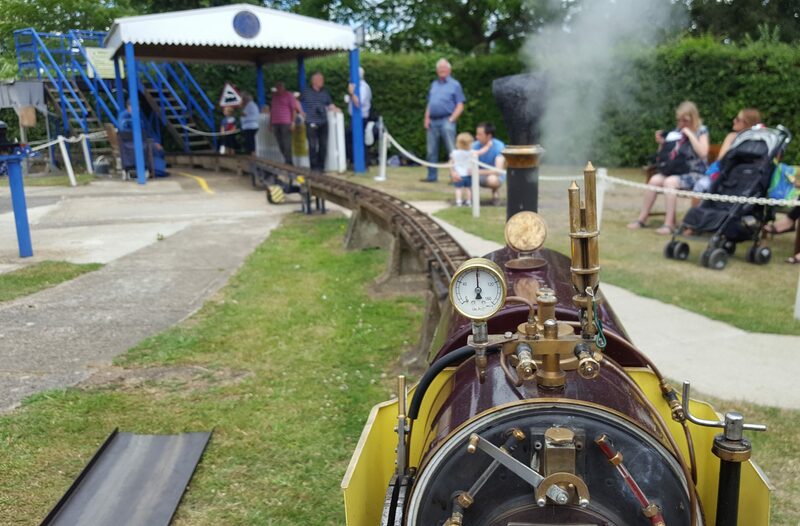 We look forward to seeing you, and we hope you enjoy riding on our trains during your visit. Ipswich Model Engineering Society is always looking to welcome new members. Anybody interested in joining us is invited to attend a Tuesday night meeting and learn more about the society. Alternatively visit us during one of our open days and find out more. We have members drawn from all walks of life and a variety of occupations. Although the main interest is steam locomotives, all forms of model engineering are encouraged, including traction engines, stationary engines, clocks and general workshop matters. We endeavour to encourage future engineers and welcome younger members, although there is a minimum age of 14 years for juniors who will also need supervision by a parent or guardian. The club holds within its members a vast array of knowledge enabling experienced and inexperienced alike to share skills and information. Our Tuesday evening club night offers a chance to speak with other members in an informal atmosphere. The club also arranges informal ‘workshops’ where small groups can receive training in specialised subjects. If you have any queries regarding Club membership or attending a meeting please contact the Club Secretary.